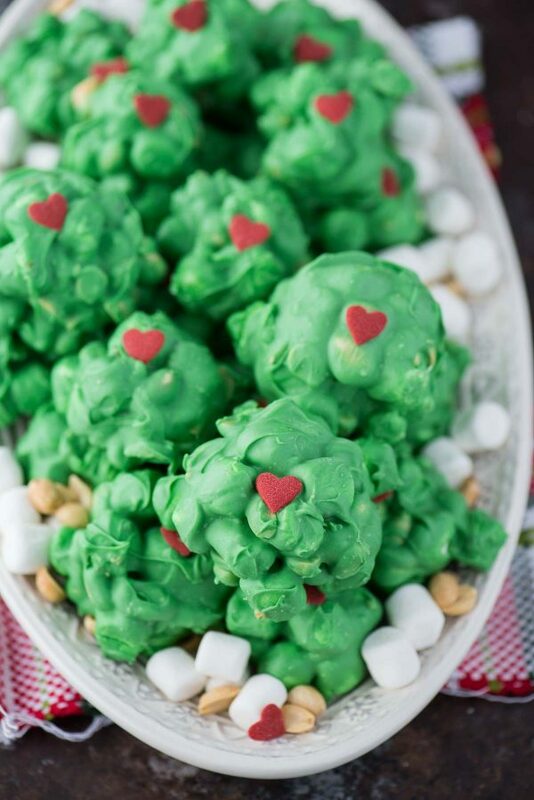 Easy to make Grinch peanut marshmallow candy clusters. 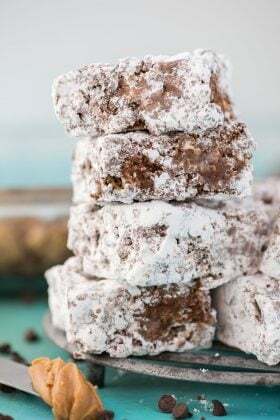 These are a family favorite to make each holiday season. Make this grinch candy while watching The Grinch! There is nothing easier than combining chocolate, peanuts and marshmallows for the holidays! 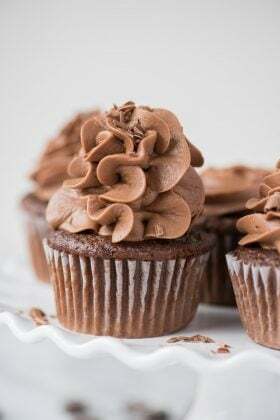 Candy clusters are an easy to make dessert if you’re short on time or if you want to bring something last minute for a party. 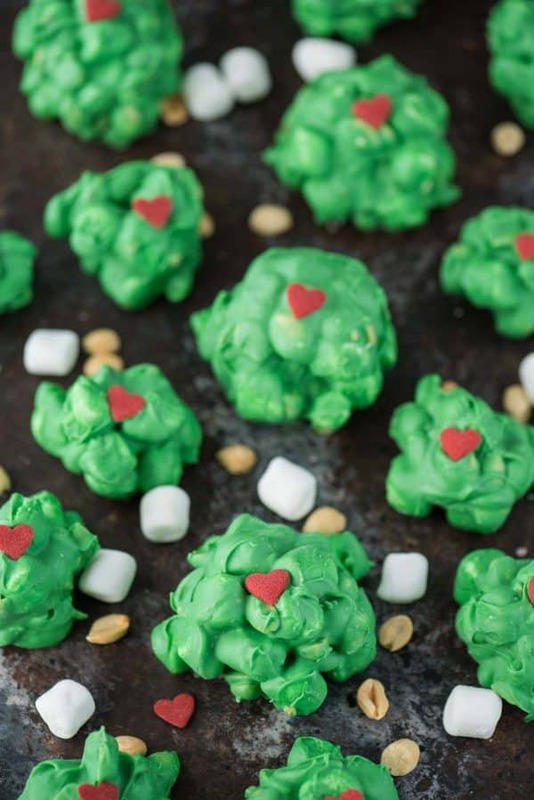 These particular peanut marshmallow clusters are GRINCH themed! 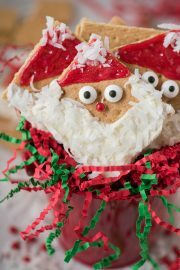 This is a cute recipe to make with your family & kids – especially if they like the Grinch! 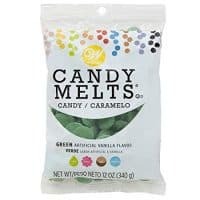 If you want a deeper green color, you can add additional green food coloring to the melted mixture before adding the peanuts and marshmallows. 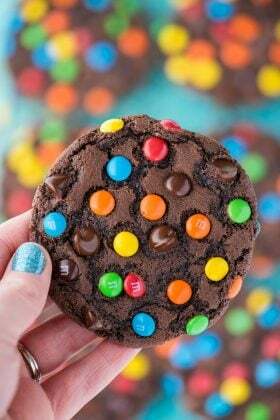 Once the mixture is combined, use a cookie scoop to drop clusters on a silicone mat or wax paper. If you haven’t invested in a silicone mat yet, it’s the best kitchen tool ever! I have 3 and use mine all the time for baking cookies, and making candy recipes like sticky paws, spicy nut clusters, pecan pralines, and oreo balls. 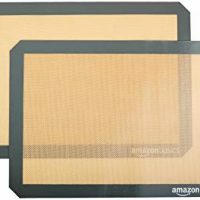 If you’re interested in buying a silicone mat, I have this one from amazon and really like it! I used 2 different sized cookie scoops to make these grinch clusters. An extra large scoop and a standard size scoop. If you don’t have a cookie scoop, you can use a tablespoon or 2 spoons to drop the clusters. 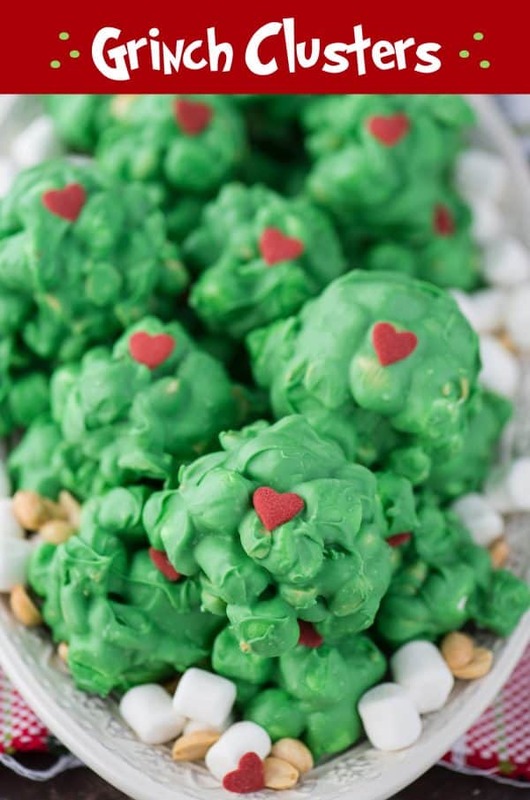 Pop a Wilton Red Heart Sprinkle on each cluster before the chocolate sets and you have the cutest grinch candy clusters! I think these babies would make my heart grow 3 sizes! Want to have an entire Christmas party with grinch themed food? 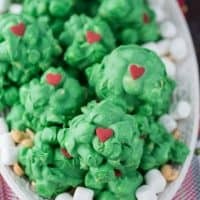 Here are a few recipes that are really fun: grinch milk, green & red swirl cookies, mini grinch cakes, and grinch heart cookies. 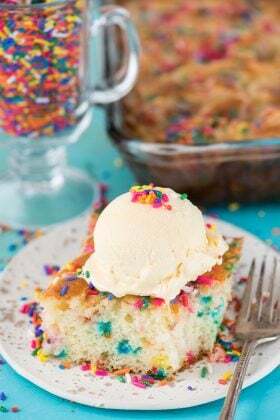 I created this recipe in partnership with Wilton! They have a lot of fun Christmas ideas! 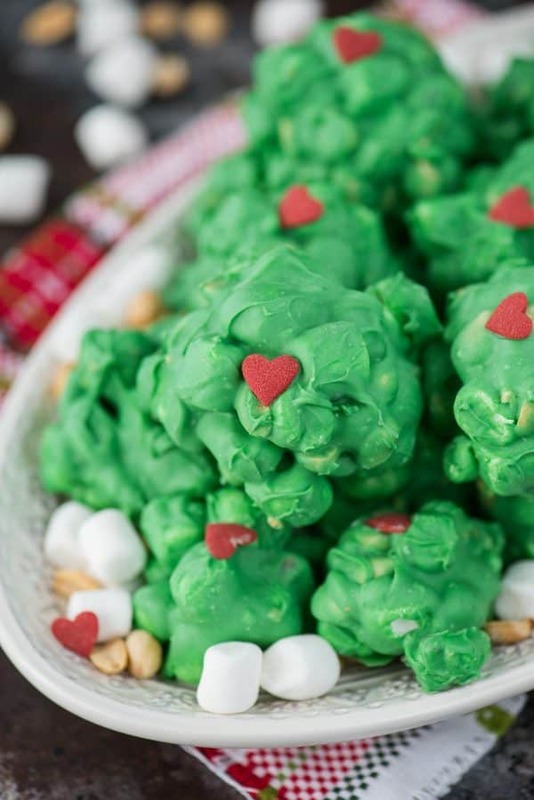 Easy to make Grinch peanut marshmallow candy clusters. 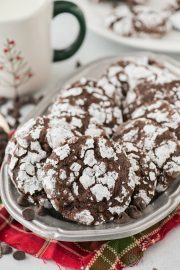 These are a family favorite to make each holiday season. 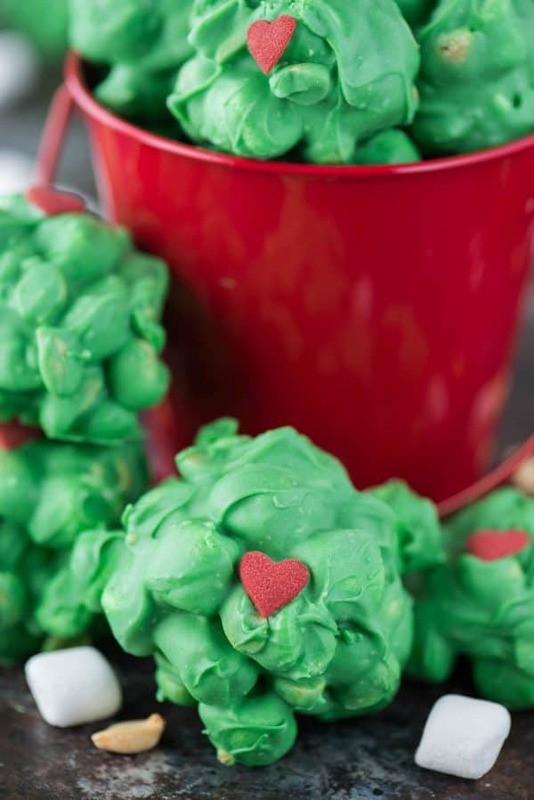 Make this no bake grinch candy while watching The Grinch! 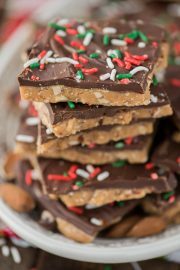 In a large pot over medium-low heat, combine the almond bark and both bags of candy melts. Stir occasionally until the mixture is melted and smooth. Add in the marshmallows and the peanuts, stir again to evenly coat the mixture. Use a cookie scoop to drop clusters onto a silicone mat or wax paper. I used 2 different sized cookie scoops to make these grinch clusters. An extra large scoop and a standard size scoop. If you don’t have a cookie scoop, you can use a tablespoon or 2 spoons to drop the clusters. 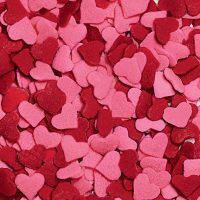 Add a jumbo red heart sprinkle to each cluster before the chocolate sets. Allow the clusters to set & harden. Then remove them from the silicone mat and arrange on a serving tray. Store in an air tight container. 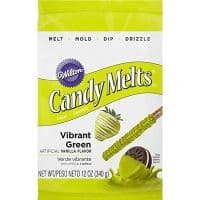 Can two bags of green candy melts be used instead of one bag of vibrant green and one bag of green? In a pinch and the store in my town only has green(dark).